“When my son Gabe was about to be born, I wanted to understand how to bring his soul into the world. So I signed up for a workshop with Elisabeth Kubler-Ross, the renowned psychiatrist from Switzerland who was best known for her groundbreaking work on death and dying. She had helped many leave this life; I figured she might teach me how to invite my son into his. Elisabeth was fascinated with the idea and took me under her wing. She invited me to attend more programs over the years, although she didn’t give me much instruction. I’d sit quietly in the back of the room and learn by watching the way she worked with people who were facing death or grieving tragic losses. 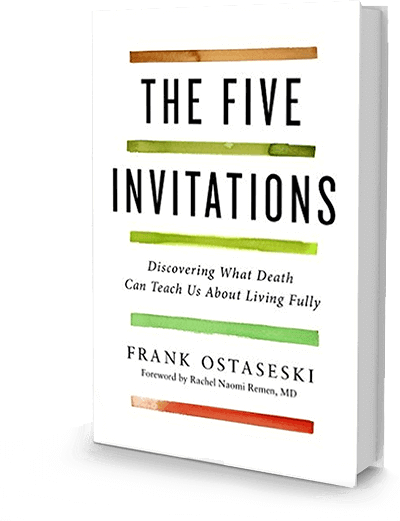 This fundamentally shaped the way I later accompanied people in hospice care. Elisabeth was skillful, intuitive, and often opinionated, but above all, she demonstrated how to love those she served, without reservation or attachment. Sometimes the anguish in the room was so overwhelming that I would meditate in order to calm myself or do compassion practices, Imagining that I could transform the pain I was witnessing. One rainy night after a particularly difficult day, I was so shaken as I walked back to my room that I collapsed to my knees in a mud puddle and started to weep. My attempts at taking away the participants’ heartache were just a self-defense strategy, a way of trying to protect myself from suffering. Thank you Step 12 Magazine for the great review! This year, I have been talking about the interface of suicide, addiction and trauma. You can image my surprise and delight when those wonderful folks at Step 12 Magazine wrote a swell 4-star review of my book, Making Peace with Suicide: A Book of Hope, Understanding and Comfort. 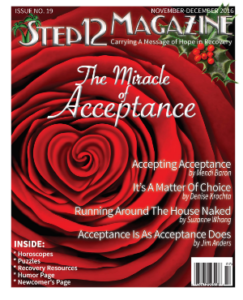 Thank you, Step 12 Magazine! I am over the moon and so grateful for both the good words and bringing this important topic forward. Author Adele R. McDowell combines practical guidance with spirituality and a deep understanding of pain and grief, and trauma and its impact. Adele has packed every aspect of losing a loved one to suicide into a single insightful, meaningful edition which should be read again and again. Personal accounts of those who have attempted suicide, sometimes multiple times, from people who have leaned over the edge of the abyss but didn’t jump, show us how moving away from suicidal tendencies requires conscious choice and deliberate action. Adele helps readers understand the complex factors involved when people choose to take their own lives, making it abundantly clear that society needs to find better ways to talk about and understand why people become so desperate to escape that they choose to end their own lives. PS Click the Step 12 Magazine cover for more information on their wonderful publication.